We have gained a remarkable position in the concerned industry by offering a distinguished range of Electrostatic Precipitator (ESP). This Electrostatic Precipitator boiler is broadly used in different applications by various industries, all over the country industries. Our Electrostatic Precipitator boiler is manufactured according to the market standards by using quality assured material & leading edge technology. 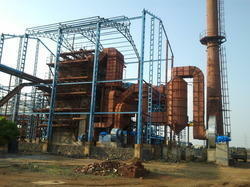 Customers can take this Electrostatic Precipitator boiler from us at affordable rates. With the assistance of our hardworking team, we are involved in offering a vast range of Wet Scrubber. These Wet Scrubber are applauded in the market for its performance & quality. These Wet Scrubber are manufactured with exclusive quality material & current technology. The offered Wet Scrubber are examined on various quality provisions in order to ensure flawless range. Also we are offering these Wet Scrubber to our customers with different specifications with nominal rates. 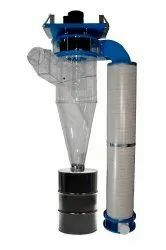 Being a quality-centric company, we are engaged in offering a superior quality Bag Filter. This filters is provided in different specifications in compliance to meet universal accepted norms. 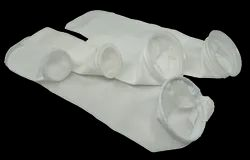 The offered Bag Filter is manufactured with advance technology & quality assured material under the direction of experts. Moreover, our Bag Filter can be taken by us within promised time-frame at reasonable rates. 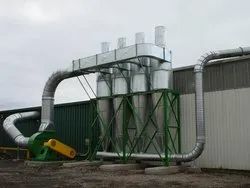 Our rich industrial experience supports us in offering a wide range of Multi Cyclon Dust Collector. These Furnace Headers are acknowledged for their high quality and durability, among our customers across the nation. The offered Furnace Headers can be customized, as per requests of our customers, nationwide. Our Furnace Headers are meticulously monitored at the time of manufacturing in order to fulfill quality norms. Our rich industrial experience supports us in offering a wide range of Single Cyclon Dust Collector. These Furnace Headers are acknowledged for their high quality and durability, among our customers across the nation. The offered Furnace Headers can be customized, as per requests of our customers, nationwide. Our Furnace Headers are meticulously monitored at the time of manufacturing in order to fulfill quality norms.